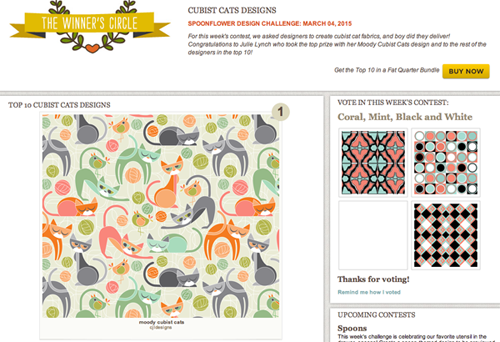 It was so exciting to come first in the Spoonflower Cubist Cats contest last week. 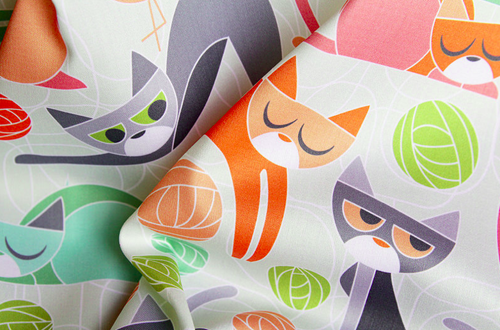 Above are a few photos of the fabric taken by Spoonflower. 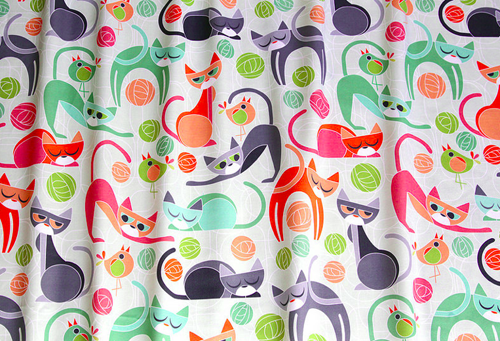 Thank you so much to everyone that voted and added favourites for this design.